Cat Coquillette is a location-independent artist and designer whose success as an artist and businesswoman have afforded her the opportunity to travel the world as a permanent "nomad.” Passionate about art, education, and entrepreneurship, she now explores the globe 24/7 in search of creative inspiration for new projects and experiences to uplevel her personal and professional life. Cat runs her entire business while on the move, managing all of her creative entrepreneurial work while hopping from country to country. Her “office” changes daily, usually a coffee shop, coworking space, or airport terminal somewhere in the world. Cat’s artwork is directly inspired from her travels, as she builds her art portfolio right along with the list of cultural experiences that infuse her pieces with their unique style. Created all over the globe, Cat’s artwork reflects the unique vibes and surroundings of each place she visits. 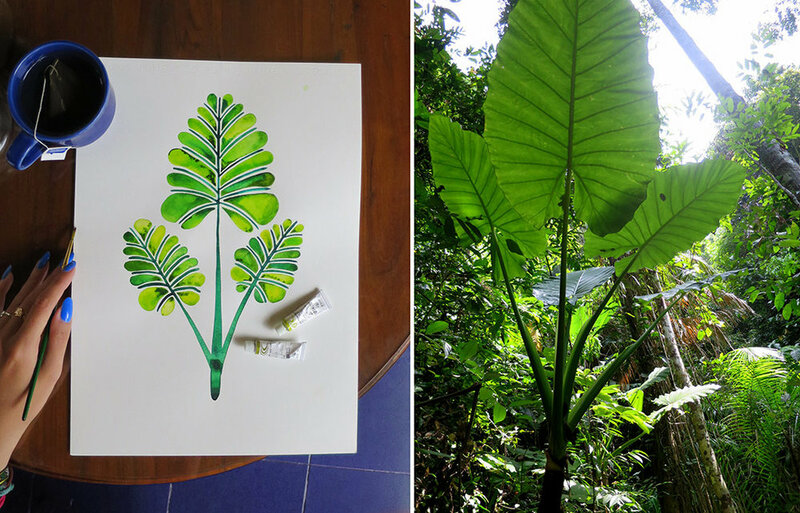 While living in Southeast Asia, she saturated her artwork with tropical watercolors, vibrant orchids, and jungle animals. Scandinavia brought about Norwegian patterns and sapphire shards of glaciers. Her work is most known for its bright pops of color, vibrant typography, and a blend of hand-painted brushwork and clean vector illustration. Originally a graphic designer, Cat saw her business organically evolve after she began posting her watercolor paintings on Instagram. Within months, she’d rapidly grown a large following of enthusiastic fans and found an opportunity to scale her passion. She founded her brand, CatCoq, and began partnering with licensing companies and retail brands like Urban Outfitters and Modcloth to print her pieces on demand. 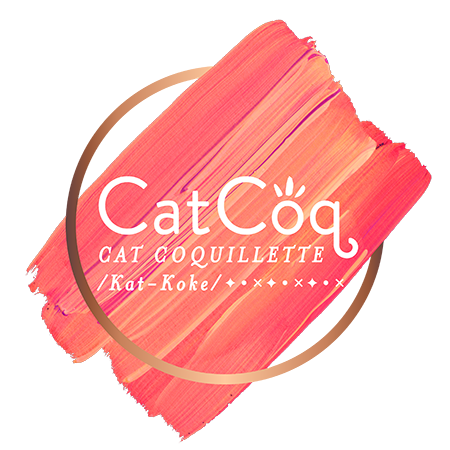 Soon, CatCoq bloomed into a global, well-recognized brand. Today, you can find Cat’s illustrations on art prints, home decor items, tech accessories, apparel, and more. She partners with a variety of brands that transform her paintings into best-selling products (so yes – you can even have your favorite CatCoq artwork made into yoga pants.) Her work has been featured by celebrities including Hilary Duff, Khloe Kardashian, Lucy Hale, Sarah Michelle Gellar, and Jessica Simpson – all seen showcasing CatCoq’s bright, whimsical style. Cat’s vocation goes beyond painting – she is also passionate about using her experience and success to help other creatives reach their full potential. She believes in community over competition, and devotes a large part of her brand to creating resources that allow fellow artists to thrive. As an online educator, she’s published a series of video courses that educate fellow creative entrepreneurs in building their businesses. Her classes cover a wide variety of topics, including finding your artistic niche, marketing through social media, selling artwork online, working with clients, and making a name for yourself in the online art world. When she’s not creating her signature art pieces or educating others in her field, Cat is constantly on the quest to learn new skills and expand her horizons. In the past year while traveling around the world, she earned her motorcycle license, became a certified scuba diver, appeared on her first live TV interview, and was the featured guest on several podcasts. Spending her 30th birthday in Svalbard, Norway, where the summer sun never sets. At just 11° away from the North Pole, it was the furthest north she’d ever been in her life. Hiking to the crater summit of Mount Batur, an active volcano in Bali. While she was watching the sunrise, monkeys stole her breakfast. Petting dogs in every country she visits. She’s a major animal lover and usually carries a couple pouches of dog and cat food in her backpack to entice the local animals. Embrace new opportunities, especially the ones that toss you out of your comfort zone. When I was first approached by Skillshare to film an online video course, I wanted to balk. The idea of appearing in front of the camera was terrifying and I’d never taught students before. But despite all this, I said yes. Something in my gut just told me to push past the discomfort, because something worthwhile would be on the other side. The next month, I was in New York facing up to the challenge – and cameras – with a smile on my face. When the class launched, it opened up an abundance of new opportunities for me to help fellow creatives find their own success. There is a unique sense of accomplishment behind tackling a brand new challenge and blasting away any doubts of “What if I’m not good enough?” The more I face my fears and push myself, the closer I get to reaching my full potential. And I can see now how pushing out of my own comfort zone actually gives me the capacity to help others in a much greater way. Don’t be afraid of change – some of the best things happen after a huge life shift. Taking risks is a vital part of succeeding as an entrepreneur. After all, many people find success because they saw an opportunity that no one else had and were willing to take a risk. For me, the “safe path” was working as an employee at a firm with full benefits. It was daunting to leave all that behind, but ultimately I believed in myself, desired a life of freedom, and embraced entrepreneurship. Confidence and risk-taking are synonymous to a successful business. Even though my lifestyle is hectic, dynamic, and is constantly in motion, every action I take in my business is steeped in strategy. I may not be able to tell you where in the world I’ll be living a month from now, but I can recite my business goals and the action-steps it will take to achieve them. There is a huge difference between a risk and a gamble. I’ve learned to embrace uncertainty, but I always weigh my chances of success before I take the full plunge. The best opportunities are the ones where I have little to lose, but massive amounts to gain. Staying in motion and flow is key to fueling inspiration. When I’m comfortable, I’m bored. I’ve found that my personal fulfillment is synonymous with staying in motion, feeling inspired, and quenching my curiosity. My best artwork comes from the experiences I’ve had exploring the world firsthand, not sitting at home behind a computer screen. One of my best-selling paintings was inspired after a four-day hike to Machu Picchu. I came for the Incan city, but left with a deep appreciation for the current residents of Machu Picchu – the llamas. I feel most alive in life during my first few moments in a new place or experiencing something incredible for the first time. I strive to find moments in life that make me take a deep breath and think to myself, “I can’t believe I’m here right now.” These are the moments that help propel myself and my business to the next level. Thank you for the feature, Buzzfeed & Huffpost!